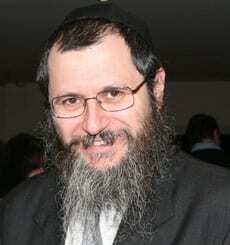 The great Talmudic sage Rabbi Akiva had 24,000 disciples…writes Rabbi Michoel Gourarie. From last week: Respect means to value the different perspective and the individuality of the other. A relationship that is very loving but lacks respect will be one that is suffocating and smothering and ultimately deteriorate. Tragically (with the exception of five), they all passed away during the seven week period between the festivals of Pesach and Shavuot. The Talmud explains that the cause of their tragic and untimely death was because “they did not behave respectfully toward each other”. The commentaries raised the following question: Rabbi Akiva their teacher was particularly well-known for his comment that the biblical instruction of ‘’ve’ahavta l’areicha kamocha’’ – ‘’you shall love your fellow like yourself’’ – is the fundamental, all-encompassing rule in the Torah. In other words, loving another person like yourself is the basis of all of the Torah’s teachings. How could it be that specifically his students would fail in the way they acted towards each other? But the simple answer is that they did love each other deeply. But their love lacked the healthy foundation of respect. This led to misplaced love that undermined (rather than valued) the other. Rabbi Akiva had many philosophies and teachings which he communicated to his students. Each one (being different) understood and expressed them in their own individual way. Each student had his special way of implementing the same values taught by their revered teacher. The problem was that each disciple was so convinced of his interpretation that specifically out of love for his colleagues tried to convince and even impose his understanding on them. This was a well-intentioned, love driven process to bring everyone around to what they perceived to be the correct view. However, as well-intentioned as the process was it lacked one vital component – respect. With the foundation of respect they would have appreciated that there is a variety of ways of understanding the same truth. Had they respected the individuality of the others they might still have shared their viewpoint while at the same time making room and valuing another perspective of the same truth. With healthy respect, their love would have been truly selfless with a genuine attempt to value others rather than impose themselves upon them suffocating their individuality. . I couldn’t agree with your comments more wholeheartedly. I just wish Orthodox jews would have respect for their Conservative and Reform brothers and sisters.